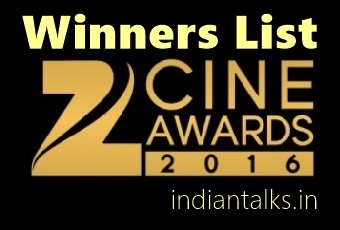 Check out Zee Cine Awards 2016 Winners List ! The Zee Cine Awards 2016 were held on February 20th in Mumbai, and several celebrities walked the red carpet, performed, and collected their trophies! The Zee Cine Awards 2016 will air on 5th March, so keep an eye out!